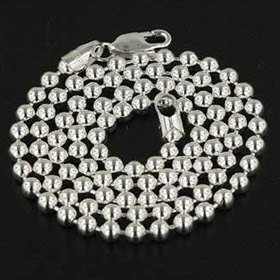 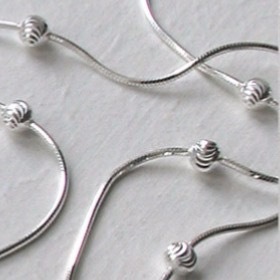 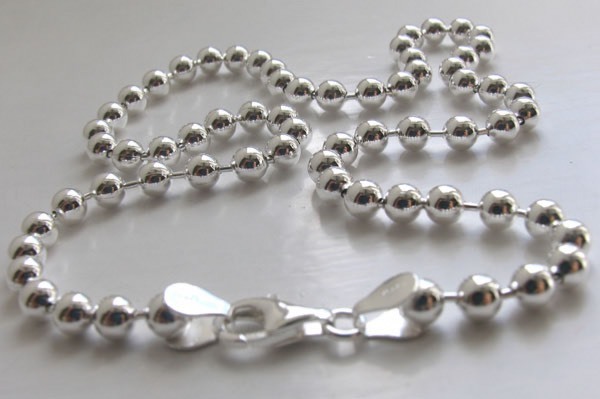 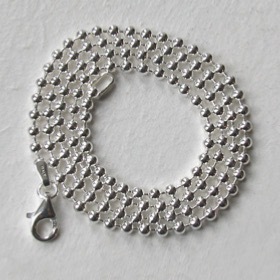 Italian sterling silver ball chain, width 5mm. 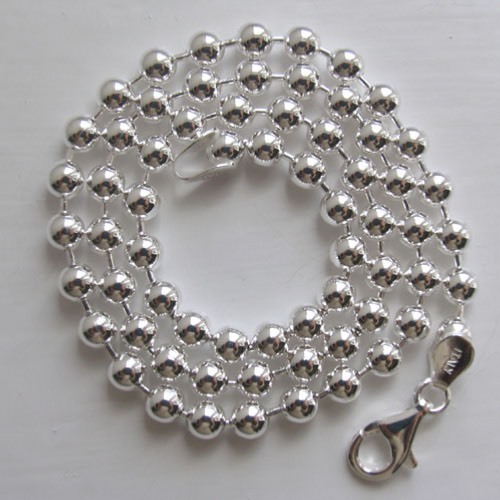 This beautiful silver ball chain (or silver bead chain if you prefer) is made in Italy on modern machines. 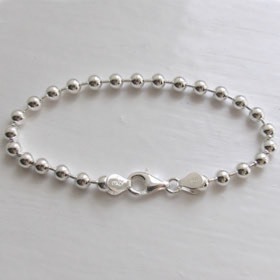 It's perfect worn alone as a silver necklace or ideal as a pendant chain, to accompany a favourite pendant. 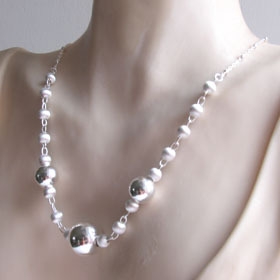 This classic ball chain is beautifully fluid. 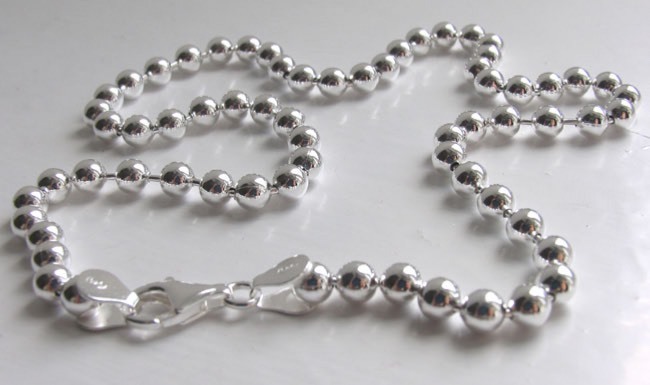 The silver balls are 5mm in diameter, perfectly smooth and shiny and between each ball is a spacer which allows the chain to move freely. 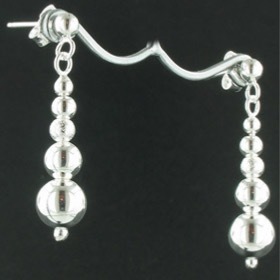 It will not catch on hair or clothes. 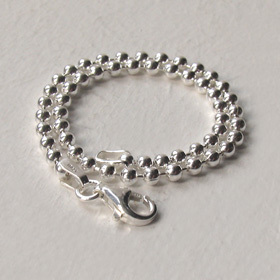 This elegant silver chain fastens with a sturdy lobster claw fastener. 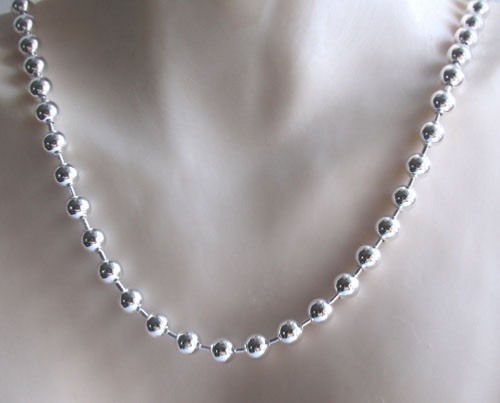 It's available in lengths 18" to 30" to suit all necks and fashion statements at value for money prices. 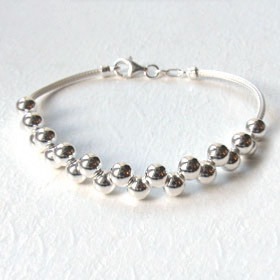 See our matching silver ball bracelet to make the set. 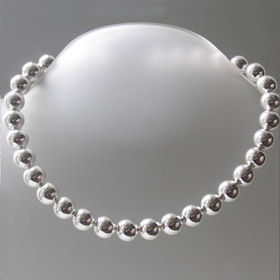 This silver ball necklace is also available in 1.2mm, 2.5mm, 3.5mm, 8mm and 12mm widths. 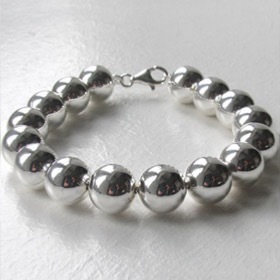 Your Booth and Booth silver ball chain will be lovingly packaged in a smart presentation box free of charge.